Nicci Canada will perform from 1 p.m. to 3 p.m. Sunday, April 30 as part of the City of Kannapolis and Kannapolis Arts jazz concert series. The concert series is free and will be held in Veterans Park, 118 N. Main Street, Kannapolis. The concert series is being offered through the City of Kannapolis with the partnership of Kannapolis Arts, a division of a the volunteer organization Downtown Kannapolis Inc.
• Nicci Canada is a native of Charleston, West Virginia and was destined to sing. Born into a family of vocalists, she has been surrounded by music her entire life. Possessing a unique ability to connect with listeners, she uses her voice as a canvas to showcase the truths of the heart and soul. Her warm, sultry vocals are reminiscent of artists such as Ella Fitzgerald, Billie Holiday and Nina Simone, but her amazing sound is unique to the gifts and talents she has been given. 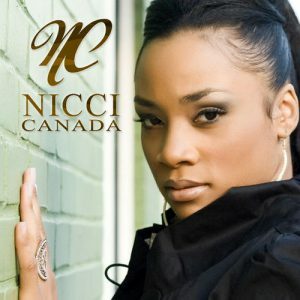 Nicci released her first solo project in 2011 title “Twenty Twelve,” an eclectic mix of melodies that highlighted her unique vocal ability and introduced her to audiences around the world. However, it would be the grace and soulful serenity of Jazz that called to her heart and would deliver her to a world of jazz enthusiasts. She has since gone on to perform with the Charleston Symphony Orchestra and the Tulsa Signature Symphony. And don’t forget to sign up on our Facebook event invite HERE!